Pritesh Samuel is Senior Editor for Asia Briefing at Dezan Shira & Associates in Ho Chi Minh City, Vietnam. Pritesh manages and writes on business and economic news for Vietnam Briefing. He also reports on complex business and market issues for Asia Briefing publications. His areas of expertise include political and economic analysis, intelligence analysis, business intelligence, open source intelligence, market entry studies, and risk assessments. Prior to joining Dezan Shira & Associates, Pritesh worked as a Crisis Manager for a leading global investment bank in India, where he focused on political and security issues, people safety, and business continuity issues. 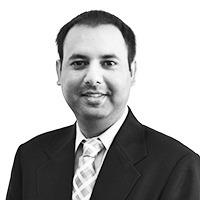 Prior to that, Pritesh worked for a global risk consultancy, analyzing geo-political risks and provided security assessments across the world for over 90 percent of the Fortune 100 companies and 60 percent of Fortune 500 companies. Pritesh previously worked as a consultant for a software consulting firm in Illinois, US, where he helped businesses streamline operations through enterprise resource planning software. Pritesh holds a Bachelor’s degree in Business Management from Judson University, in Illinois, US and is an alumni of Kodaikanal International School in Tamil Nadu, India. Pritesh is part of the Future Business Leaders of America-Phi Beta Lambda (FBLA-PBL) – a business related career and technical student organization. He is a native of Jhansi, Uttar Pradesh state, India.